Installing Charitable Authorize.Net is the same as installing any other Charitable extension. If you’re not sure how to do that, we recommend first reading our guide to installing Charitable extensions. After the extension is installed, you will need to add your license keys. We assume that you already have an Authorize.Net account activated. You will see Authorize.Net listed as one of the gateway options. Click Enable Gateway to activate it. 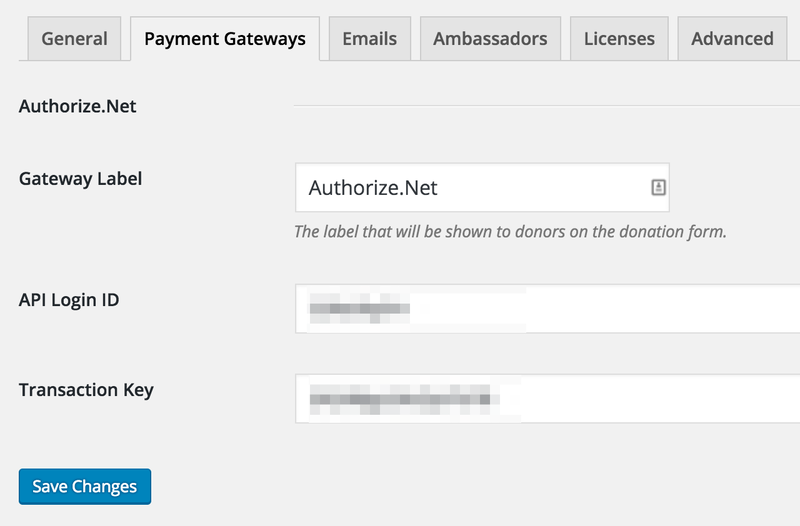 On the following page, you can add your license keys, as well as setting the gateway label (this is what donors will see when choosing their payment method). If you are not sure where to find your Authorize.Net keys, see the section below. 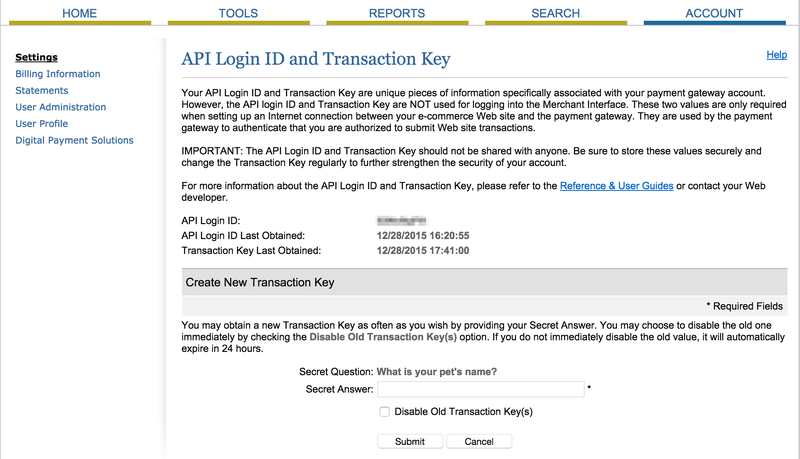 To access your API Login ID and Transaction key, login to your Authorize.Net account at https://account.authorize.net/ and click Account > API Login ID and Transaction Key in the Merchant Interface.